The Operations department primary functions are 9-1-1 call answering and radio dispatch for WCCCA's 17 user agencies. This department is staffed twenty-four hours a day, seven days a week by 66.5 Dispatchers, 6 Operations Supervisors, and 1 Operations Manager. In 2013, WCCCA Dispatchers handled 459,149 telephone calls and dispatched 533,299 public safety incidents. 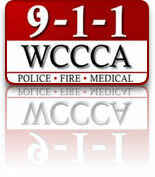 The Dispatchers are truly WCCCA's front-line customer service representatives for citizens, police officers, and firefighters alike, and strive to meet WCCCA's mission of providing timely, efficient and compassionate communications services to all citizens. © 2018 WCCCA. All Rights Reserved.